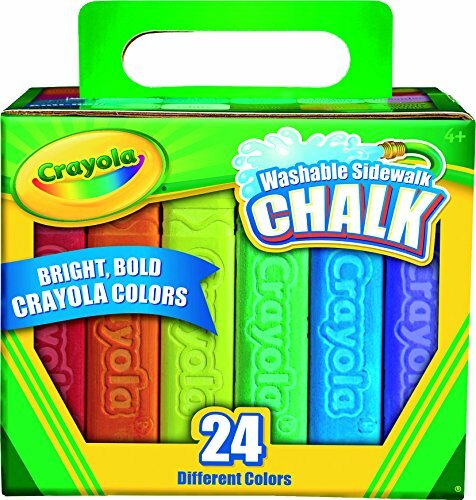 Do your children like to play with sidewalk chalk as much as mine do? 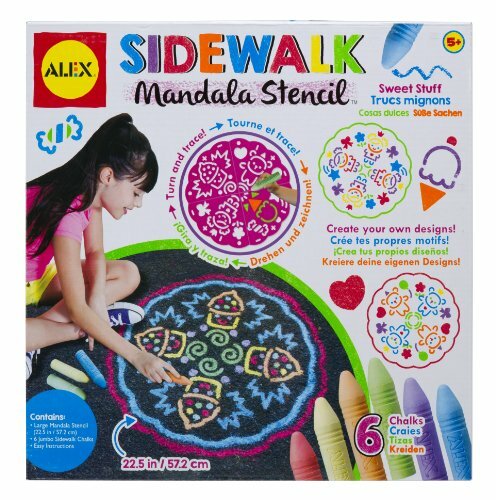 My children could easily spend hours and hours drawing, tracing and inventing new creations on our sidewalk, driveway and even the street! 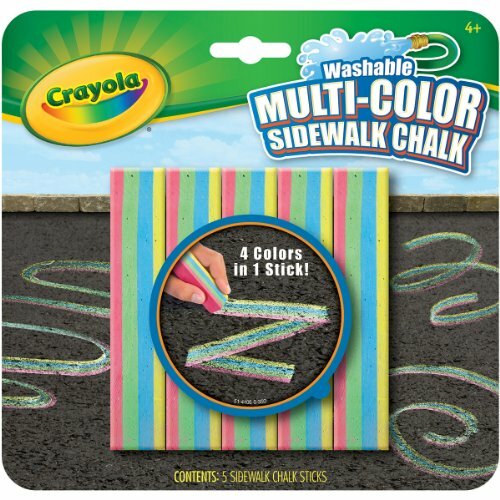 In this post, we show you a fun list of creative sidewalk chalk learning activities. 1. Do you have one of those giant foam alphabet floor puzzles? 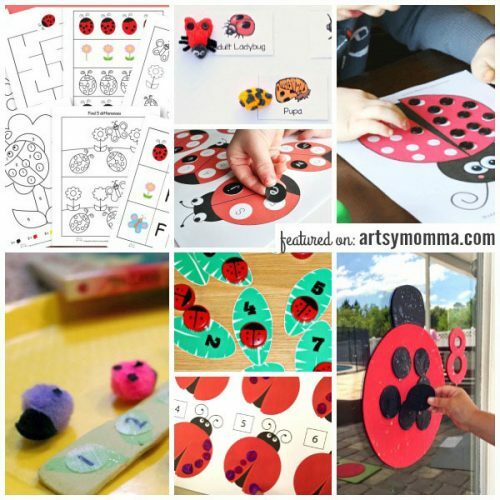 Check out this fun Alphabet Puzzle Letter Tracing tracing activity we did that gets some extra use out of it. Bonus: my kids had a blast washing them together in the bathtub! Big Brother rinsed them off and Little Sister, who was a toddler at the time, placed them in a laundry basket to dry. 2. Have a preschooler who is learning to write? 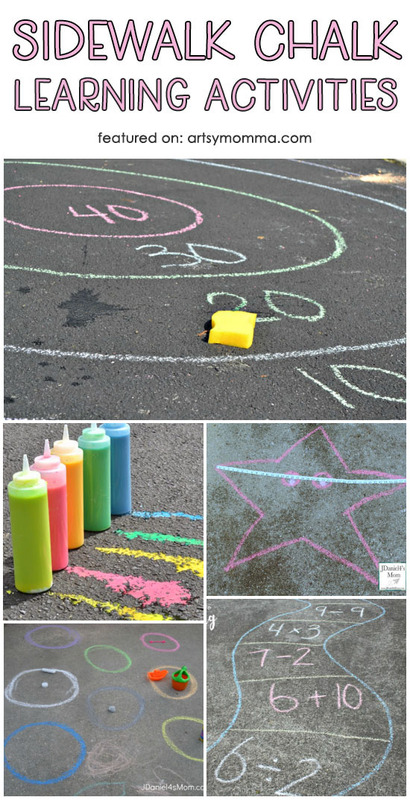 This Sidewalk Chalk Prewriting Activity is such a simple idea to have them do! 3. Another idea is this Gross Motor Color Game. 4. 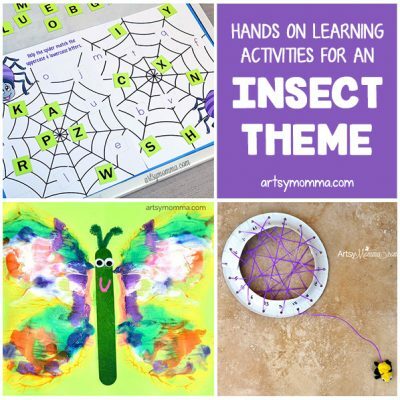 Have fun with a fly swatter and practice letter recognition with this creative Alphabet Bug Swat Game. 5. Isn’t this Water the Alphabet Flowers idea from Mom Inspired Life just darling? 6. Gross motor activity – Animal Tracks Counting Hop. 7. Older kids may enjoy this hands-on Sidewalk Chalk Anatomy Activity. 8. Burn off some energy while reviewing numbers, with this Number Matching Race in the backyard. 9. Make Constellations using rocks and chalk. 10. Read the book Hop on Pop and then head outside for word themed fun. 11. Practice identifying shapes and colors with this Sidewalk Shape & Color Hop Game. 12. 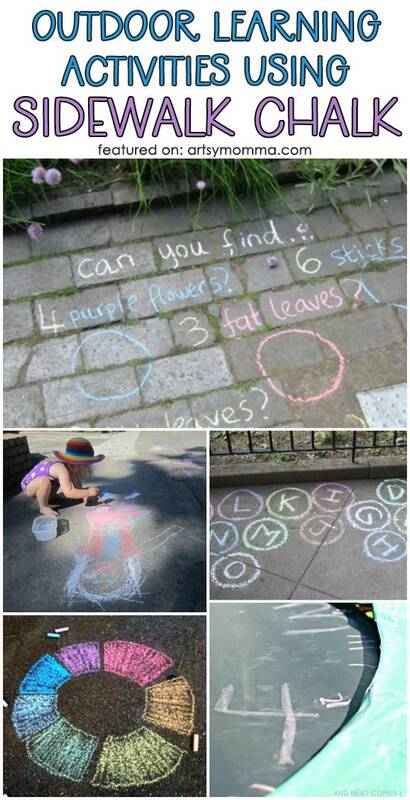 Here is another fun Sidewalk Chalk Outdoor Math Game. 13. This Sponge Bullseye is a fun way to incorporate math into a fun game. 14. Learn Math by Measuring Chalk Drawings. 15. Toddlers and preschoolers can Sort Objects in Colored Chalk Circles. 16. Color Changing Chalk is a fun way to incorporate a bit of science fun. 17. Play Sidewalk Simon using the colors of the rainbow. 18. Kids will have fun learning parts of the body with a life-sized tracing of themselves. 19. 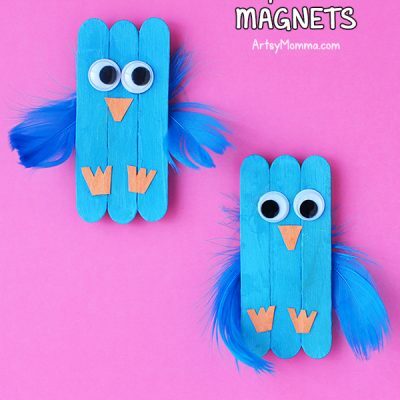 Explore nature with a fun outdoor scavenger hunt and counting prompt. 20. Practice telling time by becoming the hands on a Trampoline Clock. 21. 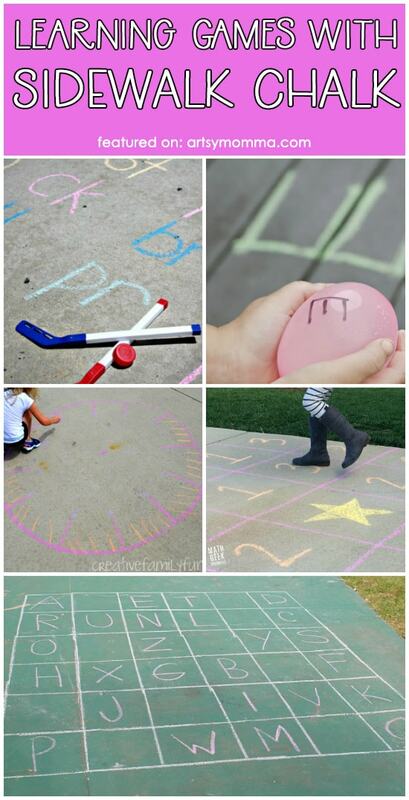 Use chalk to create a fun Alphabet Game. 22. 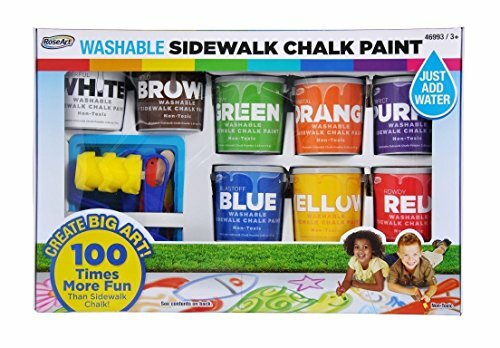 This ABC Sidewalk Chalk Game can be used to practice spelling, letter recognition and letter sounds. 23. Gross Motor Phonics Games part of a learn through movement series. 24. Practice telling time with an Outdoor Chalk Clock. 26. Jumping Maze Math Challenge – Race to the star in the center. 27. 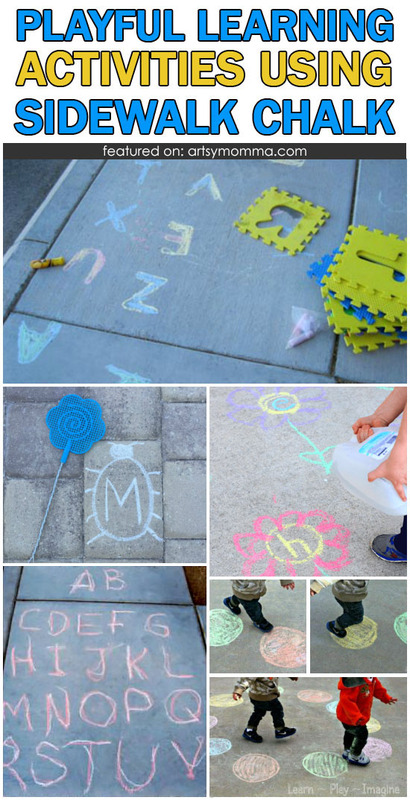 Use sidewalk chalk to play a game called Water Spray Alphabet Hunt. 28. Play math games with a Hopscotch Calculator. 29. Use sidewalk chalk and burnt coals to make Cave Paintings for Children. 30. Read books about whales and then draw a life-size whale outdoors. 31. Use chalk to make this Jump & Spell Game! 32. Learn about bones and body parts with this life-size tracing activity. Wasn’t that a fun list? 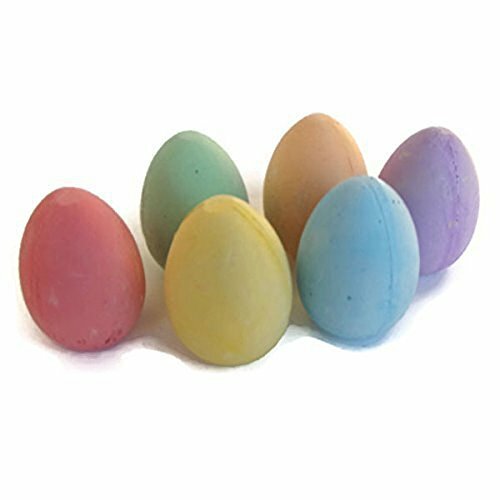 Which ones will you try with your kids this week? *We participate in affiliate programs. Some of the links are referral links to products from which we may earn a small commission on items purchased. 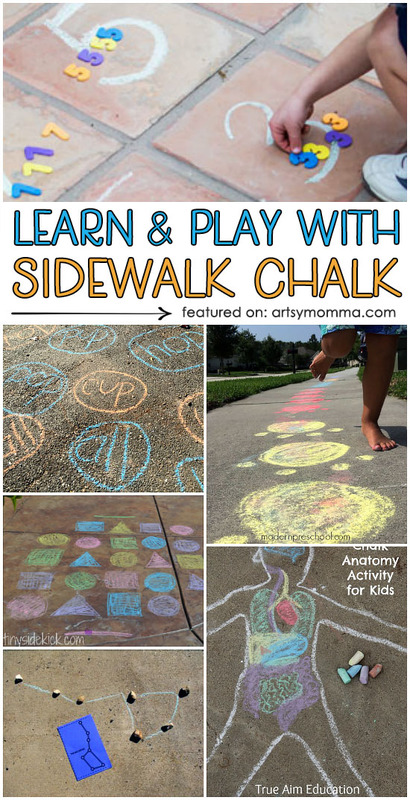 We hope you found some fun ideas in this fun list of sidewalk chalk learning activities! 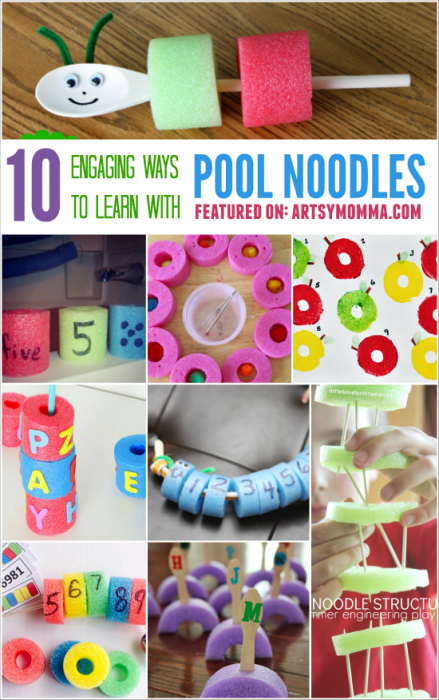 Check out these engaging ways to learn using pool noodles and this creative ways to learn with ladybugs post from our archive for more fun, playful, hands-on learning ideas.